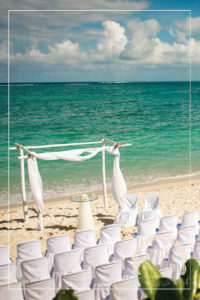 Imagine an idyllic lagoon on background with crystal clear water and fine sand, a week wedding long in paradise is possible! Un Jour Pour Vous agency offers custom wedding from €11,000* including accommodation on a week in luxury villas on the beach and private pools for you and your family. A change of scenery and an unusual union to fully experience the biggest day of your life! Live your secular ceremony surrounded by your family on a private beach, followed by a aperitif with local cocktails tasting and various Mauritians’appetizers to fully immerse yourselves in the culture. Your beautiful day continues with a wedding reception consisting of starters, main course with grilled lobster and dessert. And because your big day can not end without a great evening of entertainment, a great DJ joins you to make dance all ages all night long! for all of your guests and for a week! On site we provide ongoing support and take care of all the necessary logistics. Your happiness is the key to our success.